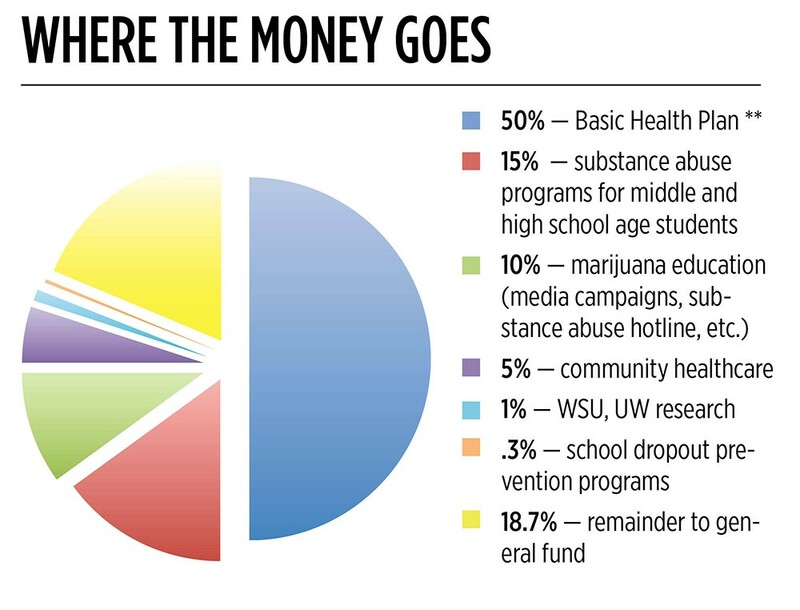 When voters in Washington passed Initiative 502 in November 2012, it took just a month to reap the first reward. By Dec. 6, it was legal for adults 21 and older to have up to an ounce of pot, no questions asked. Since then, the payoffs have been sparse. After a tedious year of rule-making, the state Liquor Control Board began taking applications from hopeful entrepreneurs. Thousands of applications poured in, hundreds of which were incomplete. It was March of this year before the state's first legal recreational cannabis grower was licensed and July before the first stores — barely stocked with limited options — opened. Now, with more growers, processors and stores doing business every week, the reality of legal marijuana is beginning to meet one of its biggest promises: cash. Pot stores have sold just over $14 million of bud since the first openings in July, paying more than $3.5 million in state taxes so far. But what's small in the state coffers can feel big in the checkout line. Growers and store owners each pay a 25 percent tax to the state. Customers also pay regular state sales tax. Faced with high overhead costs, high taxes and high demand, those in the industry are getting used to complaints from customers reluctant to pay $25 a gram. "The system is broken," says Sam Calvert, owner of Green Star Cannabis, a retail store on Division Street. "Nearly half of every single price in the store goes to some sort of taxing structure." Others see it as a small price to pay for the luxury of being legitimate. "It's cheaper to pay the tax upfront than for us to pay out money for tickets, court costs, missed work, the nasty stigma put on people for the rest of our lives," says Robert Vernon, a licensed grower with a mid-size hothouse farm in Elk. **This program was eliminated last year with the implementation of the Affordable Care Act; lawmakers have yet to decide where this funding will go instead. Chris Marr, a former legislator representing Spokane and a current member of the Liquor Control Board, says he's sympathetic to concerns about the tax structure, but skeptical that change will happen this year. To tweak the system, lawmakers will need a better and fuller understanding of how it's working, he says, and that's likely a year or two away. In those first few weeks, Johanna Tuttle was getting 10 calls a day, all from people who wanted her weed. Tuttle and her husband run Yield Farms in an industrial area of east Spokane, where they've consistently had more interested buyers than pot ready to sell. Basic economics mean that weed in Washington is, for the time being, a grower's market, but Tuttle says it's not the gold mine people may think. The couple has invested $75,000 in the business, racking up $50,000 in credit card debt. Of the $12,000 a month they make, more than $3,000 goes to taxes and the rest is mostly spent on overhead and reinvesting in the grow. "We're maybe able to use $1,500 for our own purposes," she says. "People say, 'You're so lucky that you're doing this. Isn't it great to have all that money?'" Tuttle says. "Well, we didn't have a vacation this summer. Our one camping trip was one night to Diamond Lake, and we had to drive to places where we could get cell service to look at our security cameras." Among her peers, Tuttle is lucky in one way: She has a business bank account. Unlike many banks worried about the drug's federally illegal status, Spokane's Numerica Credit Union has offered accounts to marijuana growers and processors (retailers are not allowed). Numerica wouldn't confirm the number of accounts it's opened or the amount of its application or monthly fees, though a spokesperson said special fees were necessary for the "initial and ongoing due diligence" on the accounts. Growers and retailers tell the Inlander the application fee alone is $1,000. Those unwilling to spend that money, or who own retail stores, have had to get creative — especially those on the eastern side of the state looking to avoid driving cash tax payments to Olympia every month. "It's extremely difficult to make certain I meet my tax obligations," says Calvert, of Green Star, where he is careful not to keep cash on hand, though that's how he does most of his business. Calvert says he recently had an agreement with Moneytree, a short-term lender, to provide him with multiple $1,000 money orders he could send the state by mail for his tax payments. "Then they looked up my name and saw my business and said, 'No.'" Calvert says he called the Liquor Control Board to "ask if there was any solution," even offering to gather Eastern Washington's retailers together to buy a safe and a cash machine for the local enforcement office. He says he was told enforcement staff aren't trained to handle cash. So he's resorted to using his personal checking account. "If I have to write a personal check and put my personal bank account at risk," he says, "that's what I have to do." He's not alone. 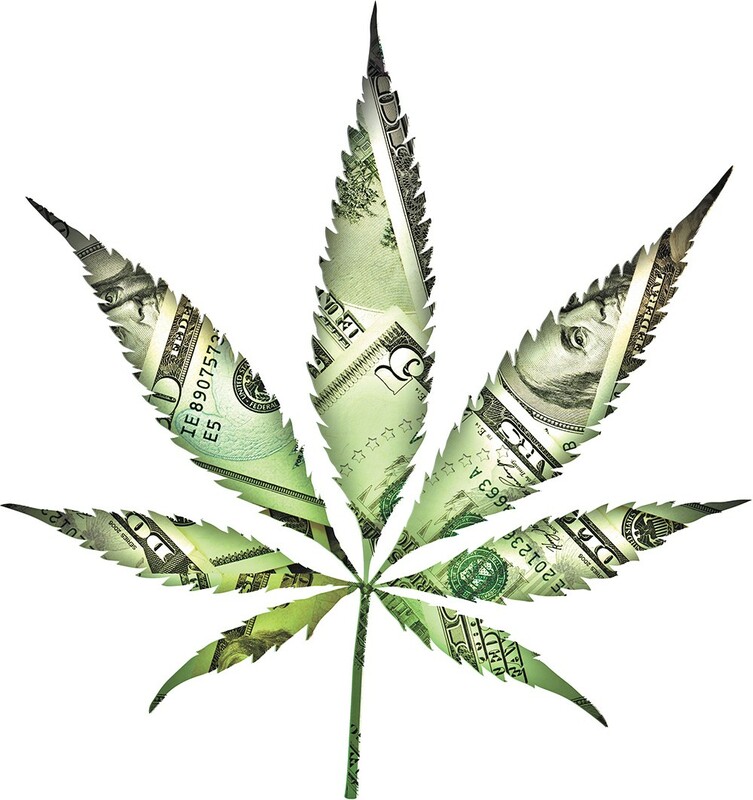 Though few banks are openly welcoming cannabis businesses, more than 80 percent of the businesses that paid taxes in July did so by check, according to the Liquor Control Board, meaning there are workarounds to be found. Frank Schade, a small-scale grower in Mead who says he couldn't afford Numerica's fees, hesitates on specifics but says he's "found ways around working with the banks until they're reasonable to work with." Prepaid debit cards are one option, and department stores will often issue a credit card with a low spending limit. Taxes in Colorado are less than in Washington, but still hefty. Growers pay a 15 percent tax on the average market price of recreational marijuana. Customers pay a 10 percent marijuana sales tax on marijuana, the state's 2.9 percent sales tax and any extra local taxes, like the 3.5 percent marijuana tax in Denver. Because some of the taxes are built into the prices producers charge retailers and others are charged directly to the consumer, it's most accurate to consider the so-called "effective tax rate," which is what customers actually pay. In Colorado, it's about 29 percent, compared to Washington's 44 percent, according to an analysis from the nonprofit Tax Foundation.